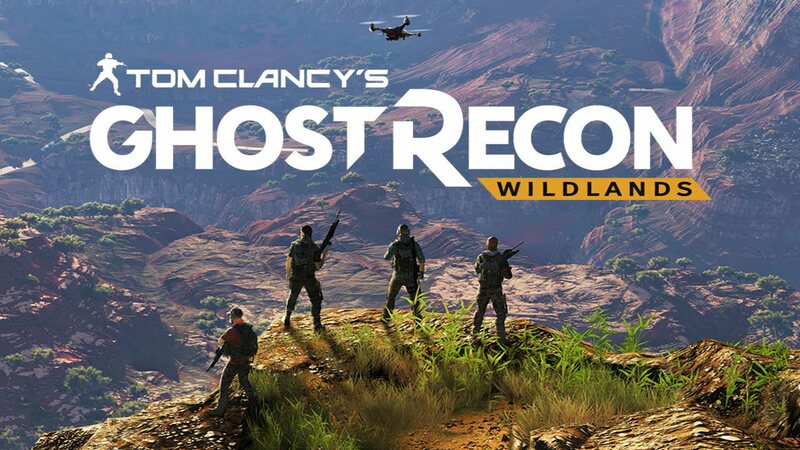 Ghost Recon Wildlands Update 1.05 is now available for PlayStation 4 and Xbox One. The update for PC will release on Friday, April 14. The new update size is around 8.4GB on consoles and 6.4GB on PC. Ghost Recon Wildlands Update 1.05 brings stability improvements, bug fixes, and support for the upcoming Narco Road DLC. 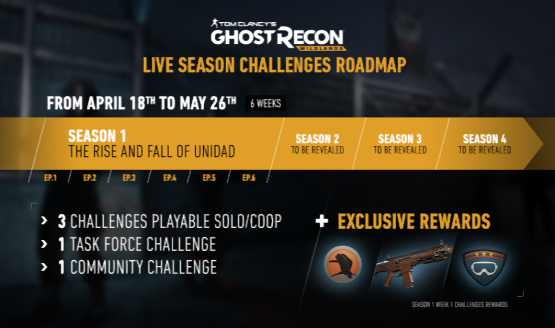 The Ghost Recon Wildlands Update 3 also adds Live Season Challenges. Beginning on April 18, Live Season Challenges “will be available through multiple seasons with each of them lasting six weeks and featuring a specific theme with dedicated rewards. Through a new in-game menu section, you’ll be able to find the current challenges and follow your progression.” Check out more details below. First Season of Live Season Challenges will be live on Tuesday, April 18th. The challenges and their requirements will be accessible from the game menu once the player is in-game. Fixed a bug where the Unidad alert level could drop from 4 to 0 when a reinforcement wave is cleaned. The ADV Suppressor skill now properly affects damage reduction on all weapons. Fixed a bug where a weapon would become unusable if equipped in the loadout .while the player swapped weapons. Fixed a bug where the player could not re-equip the suppressor back on Silencio once they viewed the weapon without it in Gunsmith. Ghost Recon Wildlands Update 1.05 fixed Amaru not having a radio voice while travelling by helicopter. Fixed missing sound effect when a boat collides with the shore. Fixed SAM detection sound repeating itself if the player exits the range in time. Fixed audio feedback on incoming missiles. Fixed a bug where the AI teammates would repeat the same idle dialogues several times. Ghost Recon Wildlands Update 1.05 fixed absence of sound when a helicopter crashes. Fixed narrative dialogues replaying after each redeployment. Fixed an occasional graphic corruption on the road texture when entering and exiting pause menu. Fixed graphic corruption when colliding a vehicle with a trash can. Fixed the Unidad costume clipping through the camera in First-person view. Ghost Recon Wildlands Update 1.05 fixed the NPCs not positioning correctly when entering a 30° inclined vehicle. The female ponytail hairstyle is no longer clipping with the Santa Muerte costume. Fixed a rare bug causing fps drops on long game sessions. XP boosters now display the number of hours they last. “New vehicle unlocked” pop-up won’t activate every time a vehicle pack is collected. Fixed Season Pass appearing as broken in the store when already purchased. The “Compensator V2-SMG” can now be attached to SMG’s. Repositioned Legend collectible in the Media Luna province. Fixed multiple places where the player could get stuck. Fixed boats spawning on top of each other in Agua Verde. Ghost Recon Wildlands Update 1.05 also fixed various crashes and glitches.